Judy’s new Glimakra 8-harness loom is used for finer warps; she’s used it for several Monk’s Belt pieces. Now it is set up for rep weave placemats. “The ease of weaving on it allows me to easily create intricate patterns.” The ergonomics of warping the Glimakra convinced her to purchase the loom. 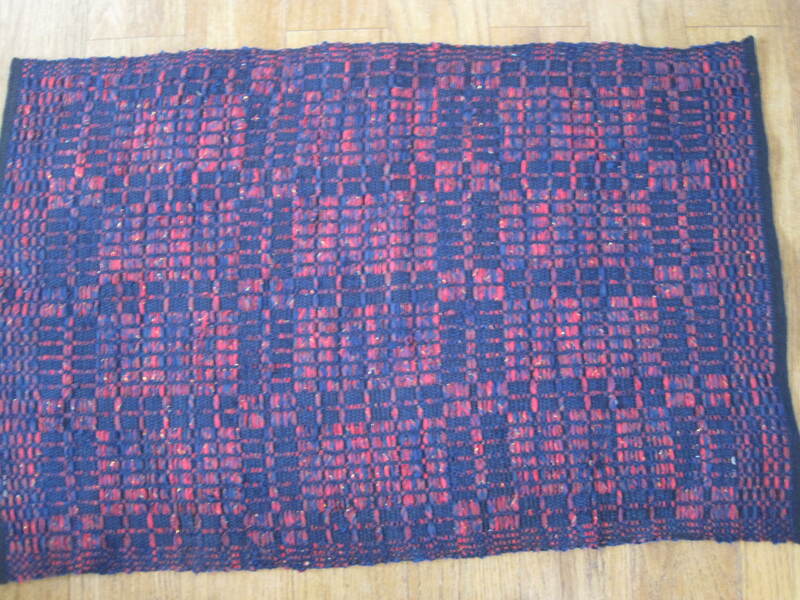 Judy’s Monk’s Belt rug in the exhibit was woven on the Fairloom. She was curious to see how fabric would work instead of the usual yarns, so she wove four rugs. The navy plaid, with a sparkle of gold, was her favorite because it had the most subtle overall effect. Her Monk’s Belt runner is the opposite of subtle – a bright and festive Christmas runner. 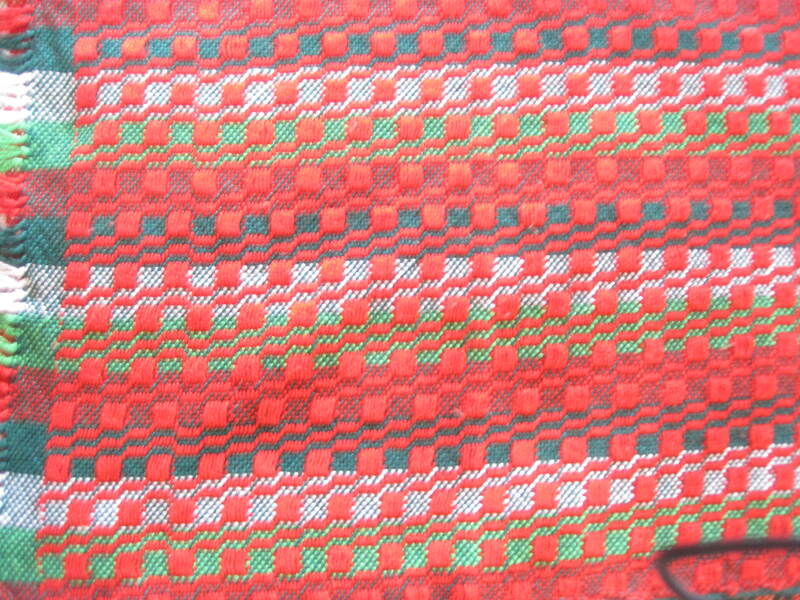 It was made on the Glimakra with 3/2 pearl cotton. Judy can often be found at Patty Johnson’s shop, Color Crossing, where she uses more looms. She warps an eight-foot Cranbrook loom for room-sized rugs. Her next rug will use a linen warp and wool weft in a shaft switching technique. It will grace her newest grandson’s room. She also uses a 60-inch twelve-shaft Finnish Toika in the studio at the shop. Wait! There’s more! 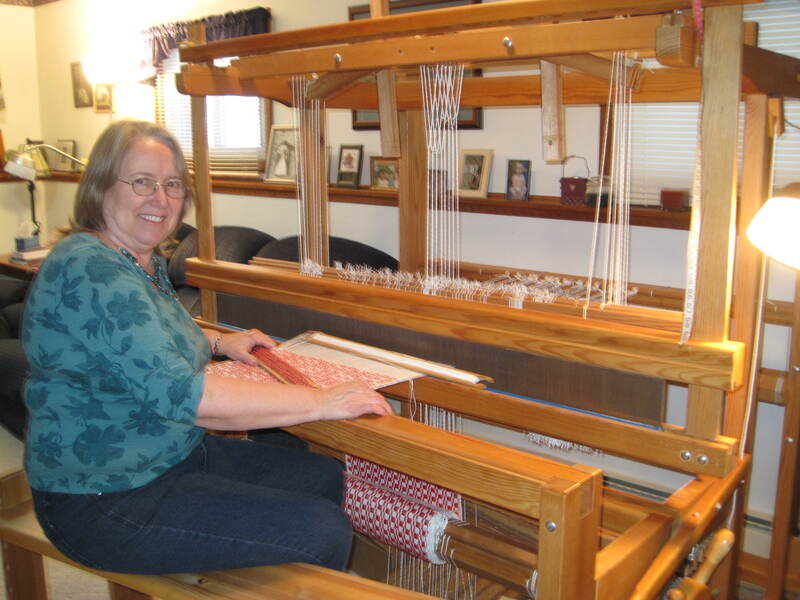 Judy also still has her first loom, a four shaft LeClerc. Are there enough hours in the day?